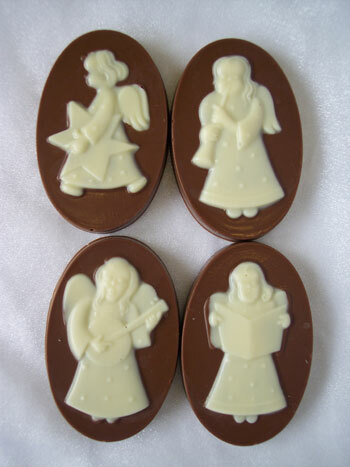 Four white chocolate oval christmas angels on milk chocolate bases. Each a different design. Individually wrapped and sold as a set of four angels. Ideal Christmas tree decoration, or stocking filler.